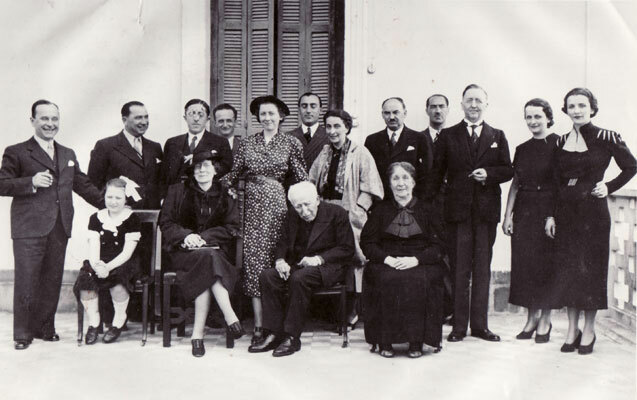 (Ekrem Bey Vlora on the far left). 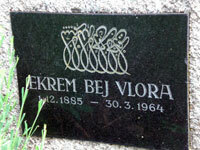 Ekrem bey Vlora (1885-1964) was born in Vlora, the son of one of the wealthiest landowning families of southern Albania. His two-volume German-language memoirs, published posthumously as "Lebenserinnerungen" (Memoirs), Munich 1968, 1973, give fascinating insight into the world of an early twentieth-century Albanian nobleman. They have recently been translated into Albanian as "Kujtime" (Memoirs), Tirana 2002, and into Turkish as "Osmanli Arnavutluk'undan anilar, 1885-1912" (Notes from Ottoman Albania, 1885-1912), Istanbul 2006. In the following excerpt, Ekrem Bey describes his early life and the status of the Vlora family in the last decades of the Ottoman period. As in all the noble families of Albania, servants were a complicated issue for us. Finding suitable male servants was difficult, but possible. Finding female personnel, on the other hand, was not an easy task at all. Hiring and training servants involved rules and procedures. Poor people were wont to give up their ten- to fifteen-year-old daughters for a recompense of 300 to 500 DM. The girl in question would be taken over by the headmistress, would be washed, combed and dressed and would then be trained for a year under her tutelage to learn all the chores of the household, step by step. After this period of training, the girl would then be given a job among the other servants, according to her talents and proclivities. The highest, but certainly not the most agreeable position in this hierarchy, was that of parlour-maid to the lady of the house. All the servants had their ranks. There were girls for washing and sweeping, parlour-maids to serve during family meals, women for ironing, lighting the lamps, and a great assortment of other female servants. They were all under the supervision of two or three older servants, each of whom was responsible for keeping an eye on specific aspects of the household. The number of female servants - girls and women - varied between 30 to 35. In addition to them, there was the lady who taught my sister French, and the Italian lady who taught sewing and knitting. A veritable harem, the reader might think. The Albanians could not even have conceived of that oriental institution that fires the imagination of many European men. On the contrary, not only was the head of such an Albanian household not the head of a 'harem,' he often had difficulty asserting himself against the tyrannical rule of his one and only wife, the lady of the house (amvise). Girls who had served for five to seven years in a household were married off by the lady of the house, often to quite respectable gentlemen, and received a dowry of 1500 to 3000 DM, and on occasion, even a house of their own. If the marriage broke down, if she had problems, or if her husband died, she did not return to her parents' home, but to her master, who had the duty of helping her with her needs. As such, a noble family, known as a 'Great Home' (der' e madhe) would often have to take care of 40 to 50 'little homes' of subordinates and well-wishers (duaxhi), who were actually parasites, and thus shrank in size and prestige itself. Why such an inordinate amount of retainers? Noble families in Albania (and in the Orient in general) had to be hospitable if they did not want to lose their titles. It is difficult to say where this hospitality began and where it ended. It is much easier to state when it began and when it ended. It started when a 'noble' had something to offer above and beyond the bare essentials in life, and it ended when he had sacrificed all his assets to the altar of hospitality. Within these confines it was seen as seemlingly boundless and was profoundly rooted in the thinking of the people. To make this matter better understood, I would like to recount an episode from the eighteenth century. 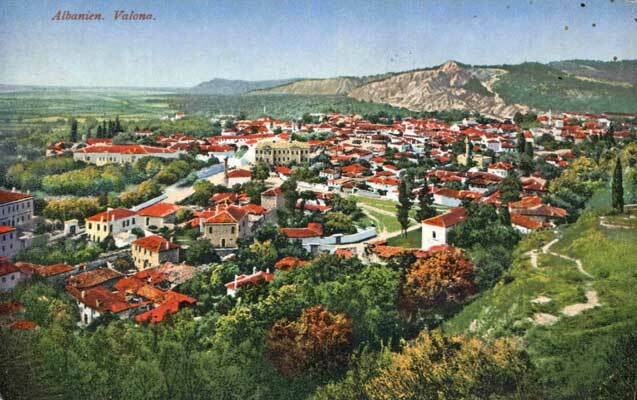 In 1780, Mehmet Pasha Bushatliu ruled over the Sanjak of Shkodra. A man from the mountains of Shala came down to the market in Shkodra. While he was selling his goods, he caught sight of two foes with whom he was in a blood feud. He drew his pistol and shot the two of them. He was then arrested, imprisoned, and condemned to death. These measures were the result of a law that the bazaar was to be regarded as out of bounds for feuds on market days and that no one was to be killed there. But the pasha felt sorry for this young and inexperienced fellow, so he summoned him and asked him: "Well, my good man, tomorrow is going to be the blackest day in your life. Do you regret what you did?" "Master," replied the simple fellow from the mountains, "I do not regret the deed because I did nothing more than I was supposed to do. Therefore, tomorrow will not be the blackest day in my life. My blackest day was the one on which a visitor arrived at my hut in the mountains and I had nothing to offer him." This way of thinking will serve to make it clear to the reader the importance of hospitality among the Albanians (and in all the countries of the Orient). In the towns, there were no hotels for gentlemen. There were only a few lowly inns for people of restricted means. Whoever came to town and had, or thought he had, a reputation and social standing, would automatically be the guest of the Great Home or of a less important but open home, one with a "large gate and high-chimneyed hearth" (der' e madhe dhe oxhaku i lart). At our home, I never saw the gates to the park and mansion closed. They were open day and night so that anyone could enter without formalities. One of the worse curses used in Albania was, "May his door be closed" (T'u mbyllt dera). This of course only applied to the owners of the Great Homes or those considering themselves as such. When someone arrived to spend the night - and this was a daily occurrence - his horses would be led to the stables, his servant accommodated, and he himself would be given food and shelter for as long as he wanted. To this end, there were cots in the selamlik which were set up in the parlours at night. One can easily imagine the work and disorder this caused. During the provisional government organized by Ismail Qemal Bey (1912 to 1914), I often had twenty such guests to deal with. One must not forget that this custom was even more pronounced in former days. European thinking and economic restraints have restricted it to a great extent. My grandfather, Mustafa Pasha, once told me that in the mansion of the Grand Vizier Ali Pasha (1850-1858) where he often spent the night, there were over 300 beds put up every night for guests of various categories. During a stay in Vlora (1912-1914), my uncle, Ismail Qemal Bey, told me - not without a certain note of reproach in his voice - that in the days of his youth (1850-1860) about 200 persons would be fed in our konak on market day (Thursdays). If one considers that full meals were served at noon and in the evening in the various rooms at five different tables (the family table in the harem, the guest table in the selamlik, the table for the teachers and pupils in the selamlik, the male servants' table in the selamlik, and the female servants' table in the harem), one can easily see that the people worst off in a Great Home were the Master and Mistress of the manor themselves. The visits of male guests in the selamlik were parallelled by visits of female guests to the harem. In actual fact, all the Great Homes led a double life. The master spent all his time as if in bachelor quarters in his office in the selamlik receiving hundreds of visitors: travellers, good-for-nothings, coffee-drinkers, petitioners, braggarts, and occasionally friends. They came and went in great numbers without the least regard for the time, interests and patience of their host. And woe to the exhausted or bored host who did not live up to his social obligations, as set forth for the Great Homes by 'sacred custom.' Anyone who did not receive his guests personally, or at least had them received by a close relative, would be subjected to vile criticism and the cutting remark that he had "closed the door himself." What I have said about the selamlik (men's quarters) also applied to the haremlik (women's quarters), except that the haremlik would have to be described not as bachelor quarters but as life in a nunnery. Under these circumstances, normal family life was rendered impossible. Husbands and wives rarely ate together and only saw one another at night when the most tenacious of the guests had finally retired. As long as the selamlik and the hospitality prescribed for the Great Homes served a social and political purpose, it could be put up with, but when it no longer served a purpose, it became simply detrimental. The heart and motor of all these manifold household tasks was my father, a veritable genius at business and at administering the family assets. He more or less left the reception and accommodation of visitors at the selamlik to his older brother, Neshet Pasha, and worked all morning in his office with his secretaries and other people who had more on their minds than the day-to-day gossip. It was his diligence and proficiency that increased the wealth of the Vlora family six-fold over a twenty-five-year period. 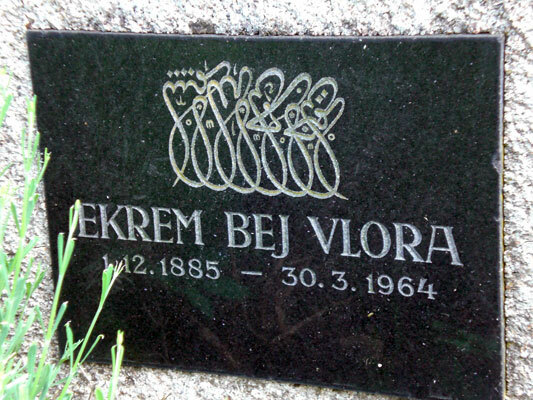 It was he who introduced the first petroleum works and steam factories to Vlora and Kanina. He promoted trade with Trieste to such an extent that much progress was made for the family properties and, with all the trade and commerce going on, the standard of living rose for the middle class in Vlora. In addition to his businesses and social activities, my father also found the time to found a library and an art collection, which were quite unique in Albania at the time, and to turn the 'palace' of the Vloras into a centre of culture and civilisation. He also succeeded in defending himself against the plots and backwardness of the Turkish authorities until the latter, recognizing his superiority and also wishing to rid themselves of a pest, sent him to Istanbul and bestowed a high rank upon him in government administration there. Without him, without his older brother, Ferit Pasha, who served as Grand Vizier from 1903 to 1908, and without his cousin, Ismail Qemal Bey, who was the first president of the independent Albanian State in 1912-1914, the prestige of the Vlora dynasty, which had ruled the country for 450 years, would have turned to dust. The reader may be tempted to ask: what was the actual authority of the Vlora family and its members at that time and earlier? I will endeavour to answer this question with a general theoretical explanation and will describe in brief terms the role and position that the Albanian (and non-Albanian) noble families of this oxhak category had in the country and in the Empire. I must stress first of all that there are various views on the subject because there have been changes over the centuries which I have not included here. Here is an example. From 1481 to 1538, the sanjak of Vlora was regarded as a serhad sancagi (frontier sanjak), and its chief as a serhad beyi (margrave). The sanjak bey was the commander of Turkish troops in the sanjak - in this case the coastal region between Durrës and Preveza - because at that time, the civilian administration led by the kadi was of little significance and Vlora was under the authority of the navy (of the kapudan-i derja). When Suleyman the Great reorganised the civilian administration on his trip to Albania in 1538, the Sanjak of Vlora was subordinated to the Great Vizierate. The sanjak bey became the representative or viceroy of the sultan. The members of his family held this position almost without interruption from 1481 to 1828, hereditarily not de jure, but de facto. This lineage of rulers cemented the reputation of the family among the people and in the Empire such that, even when some of its members were punished (Deli Jusuf Pasha was hanged in 1634 and Ismail Pasha Velebishti in 1763), their successors were almost always chosen from among their nearest relatives (the nephew of the executed Deli Jusuf Pasha, Hasan Bey, was elected in 1640, and his grandson, Jusuf Pasha, in 1666. The cousin of the hanged Ismail Pasha, Mahmut Bey, was elected in 1765). The sanjak was the Turkish version of the Byzantine theme, and the sanjak bey enjoyed the same position as the Byzantine strategos. In western Europe, in the Carolingian period, one would speak of a margrave. It was alleged in Albania that the sanjak beys were simple public servants, that the succession of (twenty to twenty-five!) rulers from one family was pure coincidence, and that their descendants were nothing special and only fancied themselves that they were the country's 'aristocracy.' But this was no reason to envy and hate the successors of these 'simple public servants.' Such assertions are historically wrong and just as ridiculous as denying the existence, significance, and position of the gens in Roman history. The great Turkish historian, Cevdet Pasha, said: "Albania is a poor and barren country, inhabited by a wild and insubordinate population. In order to avoid this region becoming an eternal source of instability, the sultans regarded it as advisable to accord the most influential and faithful men of the land with hereditary posts as their representatives. By concentrating power for years on end in the hands of one family and by the reputation that these posts enjoyed, the leading families became local authorities and dynasties (oxhak) in themselves over the centuries and came to rule the country." This is the proper definition of Albanian aristocracy that has in part vanished and in part survived to the present day.